The Wooden Covered Bridge set includes 2 ascending wooden track and 2 support blocks and is 22" long. 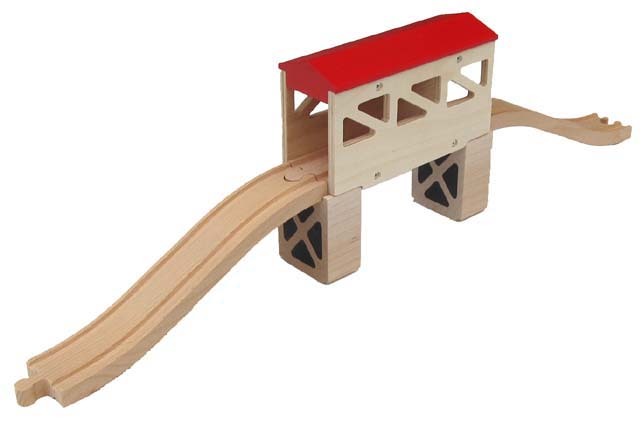 A nice addition to expand your wooden track layout. It may be used with ascending wooden track and support blocks OR flat on the floor!